♥ "To My Wife... I Loved You Then... I Love You Still... Always Have... Always Will"
Item was as described. The item was worth the price. The necklace is a perfect gift. The sentiment holds true and is displayed elegantly on a black background. As an added bonus, the interlocking rings form the infinity symbol which my wife and I hold dear. 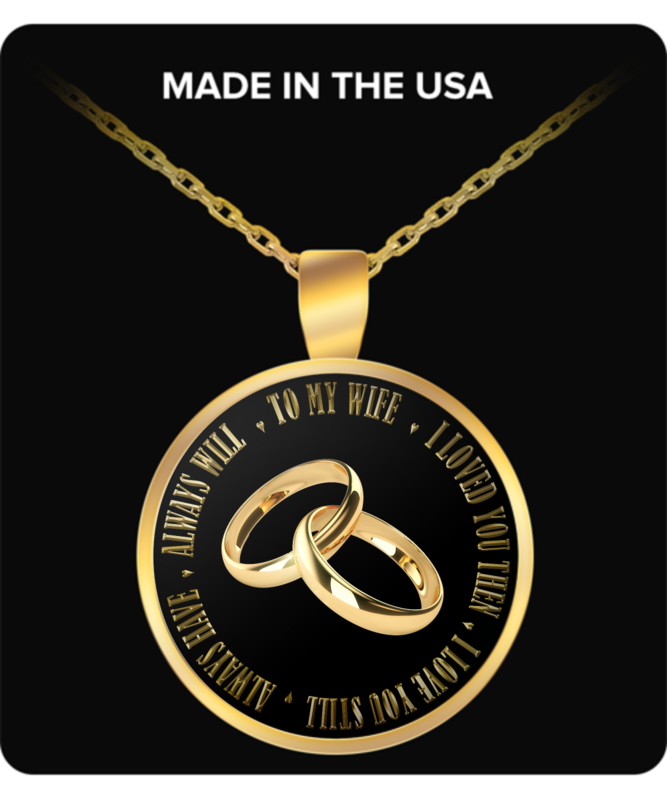 It is a professionally constructed piece of jewelry and I would highly recommend it to any couple. Thank you for a quality product at a more than reasonable price.